Is your organization experiencing an IT backlog? Organizations today are pressured to find business solutions faster, but IT departments can’t always keep up with the demand. Citizen developers can help reduce the burden on IT departments by using no-code platforms to develop applications and provide solutions when there are not enough developers to go around. Our latest whitepaper, featuring research from leading global research and advisory firm Forrester, explores the benefits that these citizen developers can bring to your organization when equipped with a no-code platform. Citizen developers are the new face of application development for their ability to support an organization’s need to develop solutions faster. A citizen developer is a user who builds applications to facilitate business operations. 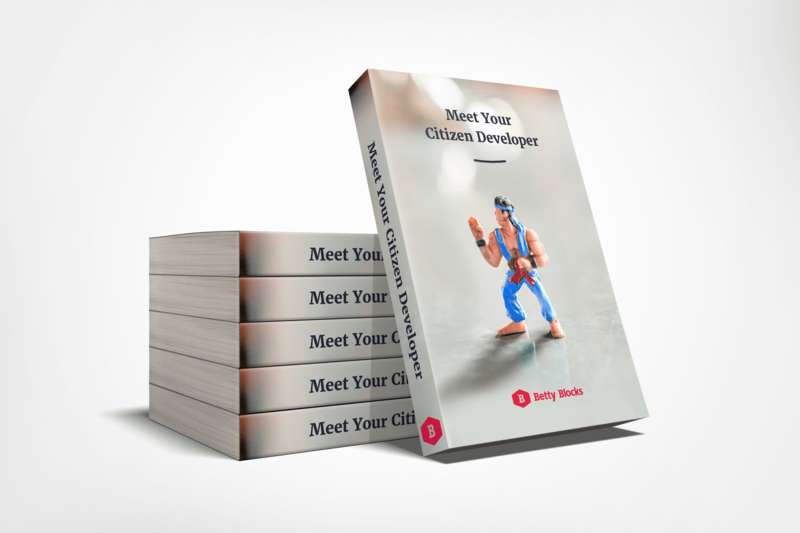 But what does a citizen developer look like? How do you identify them? Citizen developers are driven by a desire to change and to develop solutions within their organizations, and they have moderate tech skills that motivate them to seek out and learn new platforms. Based on interviews with 25 leading IT companies, Forrester Research, Inc. identifies 3 profiles of citizen developers who each support business in different ways (How To Harness Citizen Developers To Expand Your AD&D Capacity, Forrester Research, Inc., April 19, 2017). Line-of-business (LOB) developers have likely had some previous application development experience, although their expertise is the processes of business operations. LOB developers may even already be partnering with IT to deliver solutions, even though they are embedded in another department that focuses on business operations rather than IT. Similarly, business developers are business experts first and developers second. They work on apps part-time, maybe even in their spare time, to fill a need for additional IT solutions within their team, or to move business forward. Business developers are motivated by the challenge of technical problems, and likely have some background in technology--for example, they may have taken programming classes during their studies. Power users are also part-time developers, but who build apps for their own use in order to streamline tasks--think of someone who always pushes the use of spreadsheets or databases to improve the flow of office work. They may create applications as tools to help their teams become more organized or faster, but mostly work on personal apps. Do you recognize any of these profiles in your own workforce? Consider equipping your citizen developers with a high productivity no-code platform like Betty Blocks. No-code platforms can provide citizen developers with the tools they need to work with IT towards solutions for your organization. Of course, citizen developers should never replace IT, and IT departments should be involved throughout the development process. With IT support, projects can transfer to IT when the application requires more robust infrastructure, maintenance, implementation, and preparation for scalability. Providing citizen developers with a platform like Betty Blocks helps make sure that there is alignment between the goals of business and the IT department. It ensures continuity throughout your organization by making sure that citizen developers have the tools they need to contribute to developing solutions with IT departments. By finding and activating the citizen developers in your company, you can unlock their potential to work smarter towards solutions for your organizations. Download the whitepaper to read more about how to make sure that your organization is ready for citizen developers, and learn about the full force of their power to innovate. To see for yourself how no-code can help create business solutions for you and your citizen developers, request a free demo today!